Partial Solar Eclipse (photographed from Brisbane so only a partial eclipse) on the 3rd November 2013. 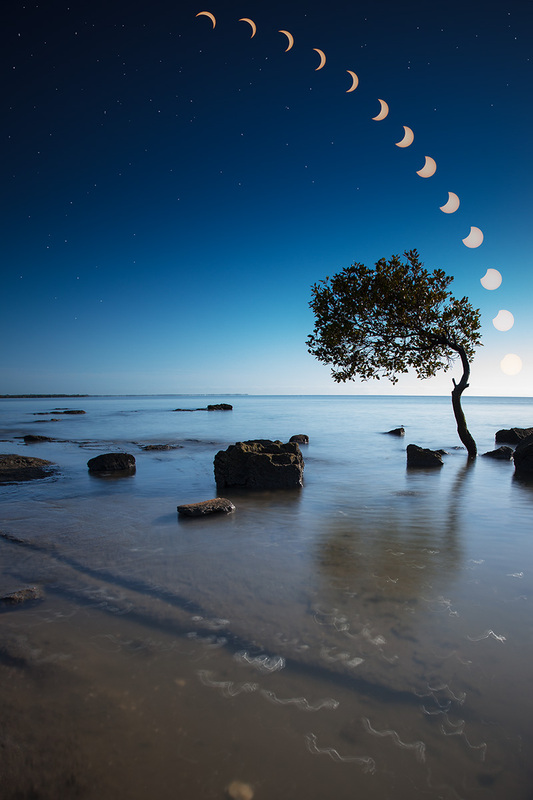 This image features the eclipse at various stages through the transition period. A total solar eclipse occurred on 3 November 2013. It was a hybrid eclipse of the Sun with a magnitude of 1.0159, with a small portion over the western Atlantic ocean at sunrise as an annular eclipse, and the rest is a narrow total solar eclipse.